Cobourg ‐ Cobourg Auto Collision Ltd has been officially Certified by Certified Collision Care, a non-profit consumer advocacy organization, for maintaining the right tools, equipment, training, and facility necessary to repair the participating Automaker brand vehicles according to the manufacturer's specifications. 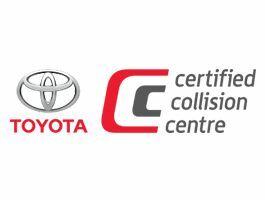 In achieving their Certification, Cobourg Auto Collision Ltd is now an integral part of the most advanced repair capable and efficient collision repair network in the world. Adding to their credentials, Cobourg Auto Collision Ltd is officially Certified by Certified Collision Care, Fiat Chrysler Automobiles, and Ford Certified. To become Certified by the various Automakers, Cobourg Auto Collision Ltd passed the rigorous Certification process essential to help ensure a proper and safe repair of the new generation of advanced vehicles. Less than 5 percent of body shops across the nation are able to meet the stringent requirements to become officially Certified and recognized. The Certified network is made up exclusively of best-in-class collision repair businesses that have met or exceeded the stringent requirements of the Certification program. According to Cobourg Auto Collision Ltd owners Wade & Laurie McKeen, "We are thrilled to have achieved the Certification and automaker recognitions. This certification helps to let our customers know they are dealing with highly trained professionals that care about them and will assure that their vehicle is repaired right to ensure its safety and performance." "Consumers need the confidence and peace of mind to know their vehicle is repaired by a shop that has what it takes to ensure the vehicle safety. Cobourg Auto Collision Ltd is officially a Collision Care Provider™," said Scott Biggs, CEO of Assured Performance Collision Care™. 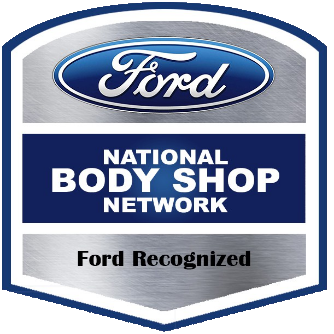 "They represent the standard by which all other body shops are measured." About Assured Performance Collision Care™: Assured Performance Collision Care™ is a non-profit consumer advocacy organization specializing in the automotive collision repair market segment. Assured Performance works with the top automakers to identify, audit and promote collision repair providers that meet best-in-class business standards and the manufacturer's requirements. Consumers can go to: www.autobodylocator.ca to find a list of Collision Repair Providers.